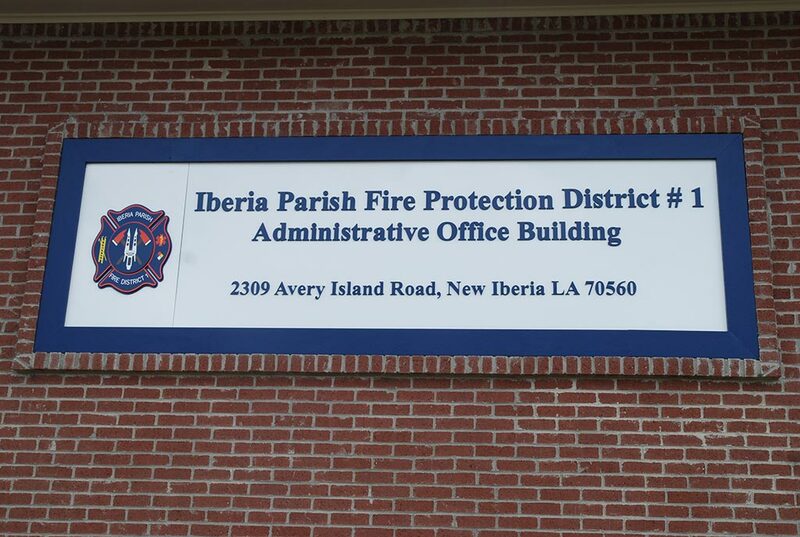 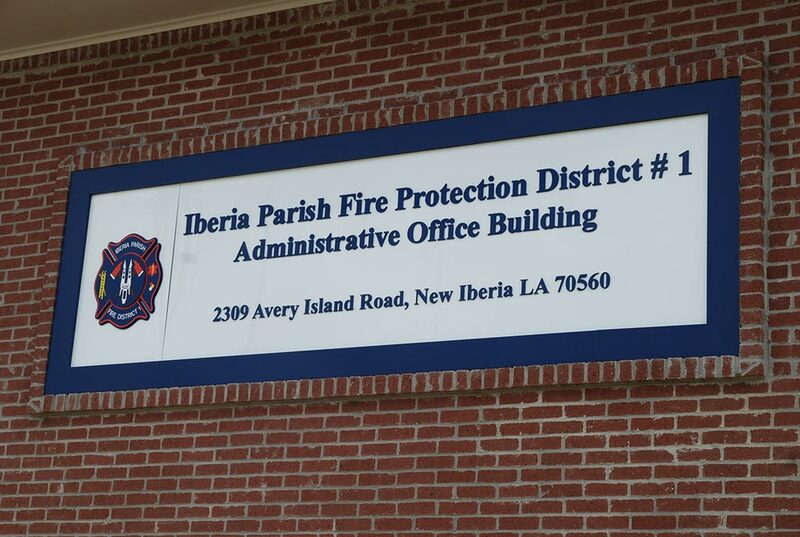 The New Administrative Building for Iberia Parish Fire District 1 consists of a new 1600 square foot office building. 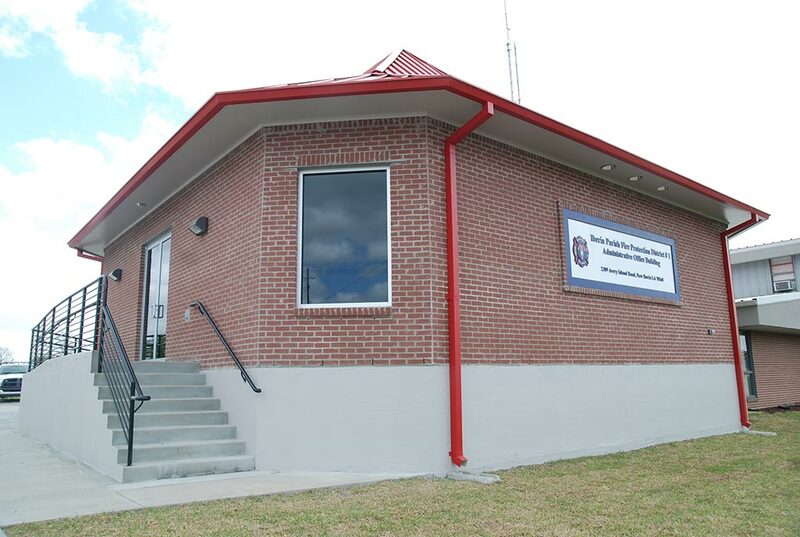 The concrete foundation is elevated 4 feet by building a concrete stem wall filled with sand. 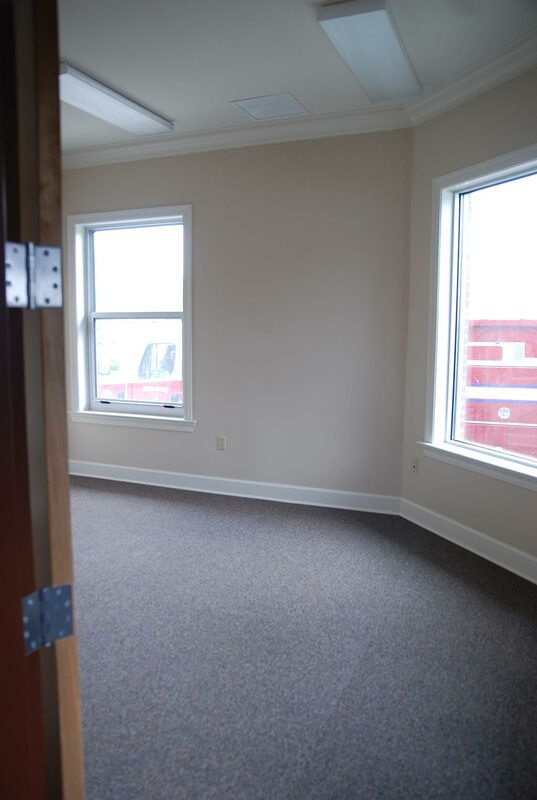 This 1600 square foot building is wood framed and includes a wood truss roof system. 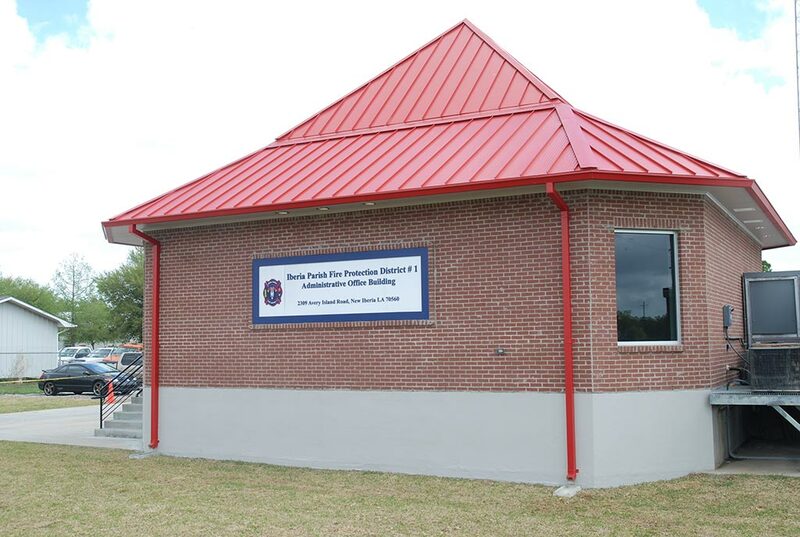 The exterior consists of brick and a standing seam metal roof. 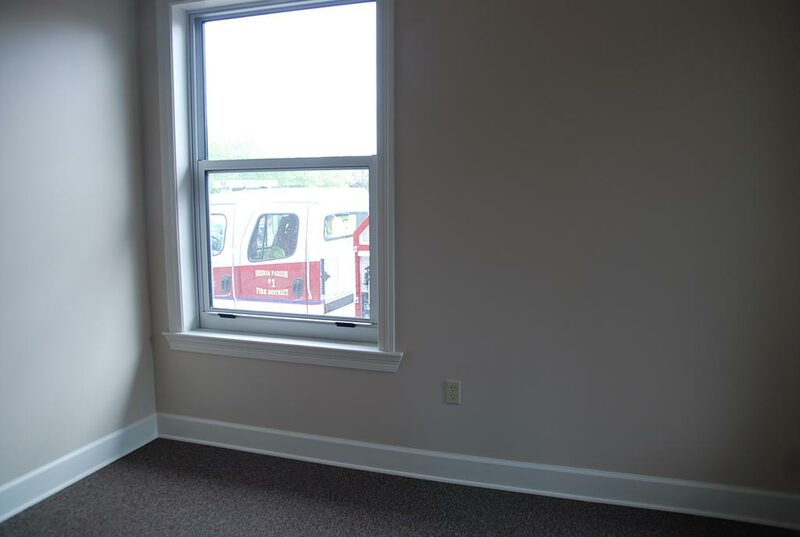 Interior features include 3 offices, 2 bathrooms, a library, a conference room, a storage closet, and a janitor’s closet. 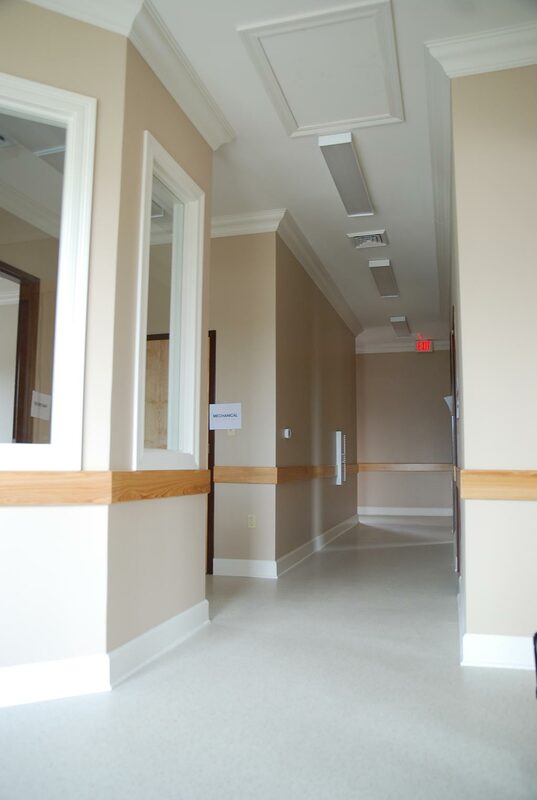 Interior Hallway and Alcove feature a 4’ Cypress Wainscot to match the double cypress doors leading into the library. 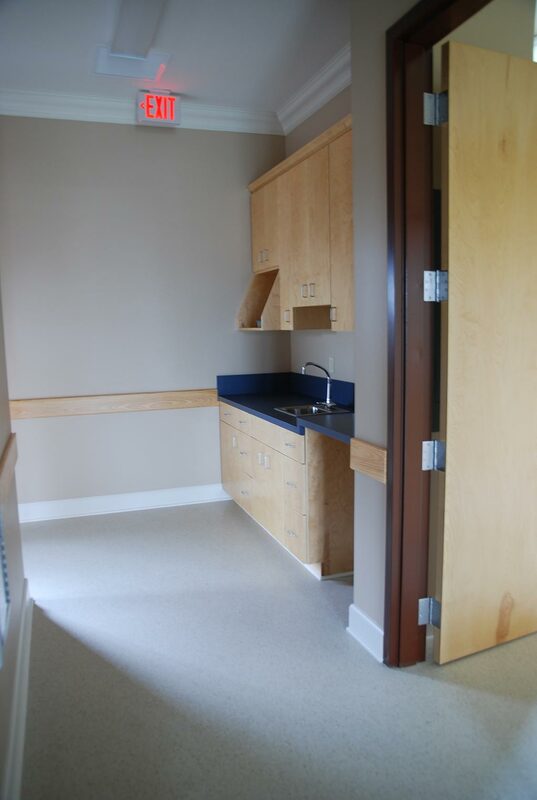 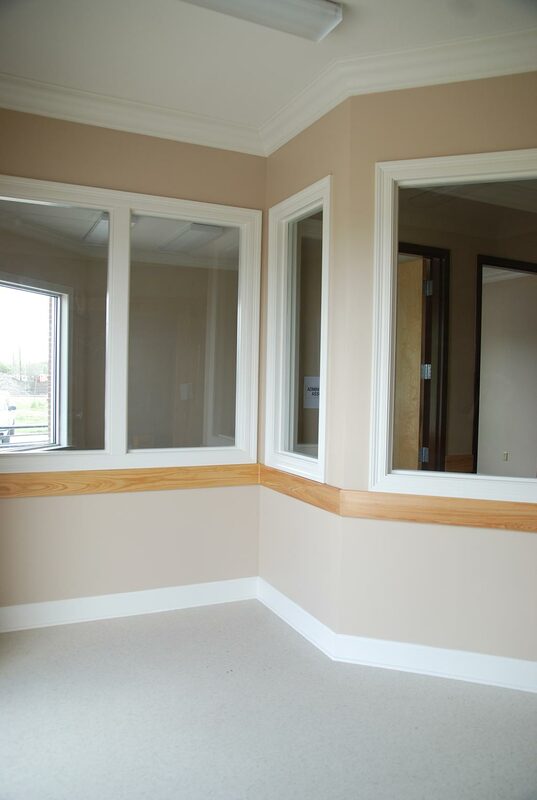 All rooms have wood crown molding and base. 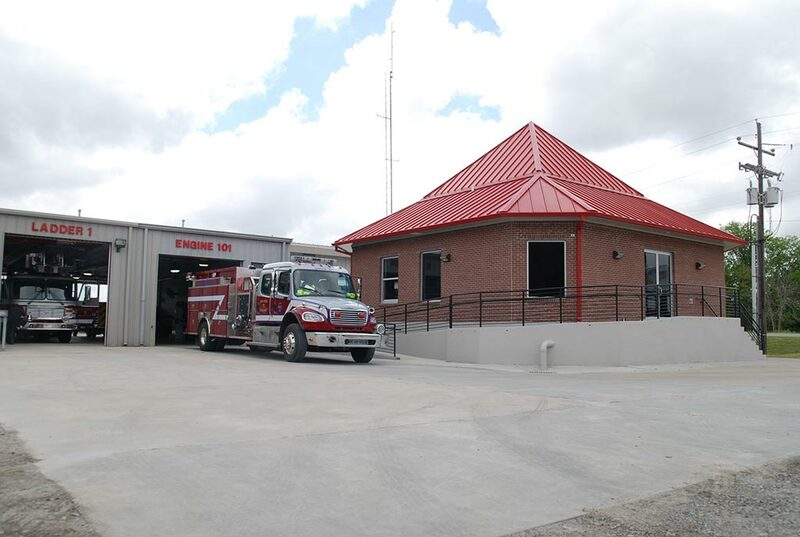 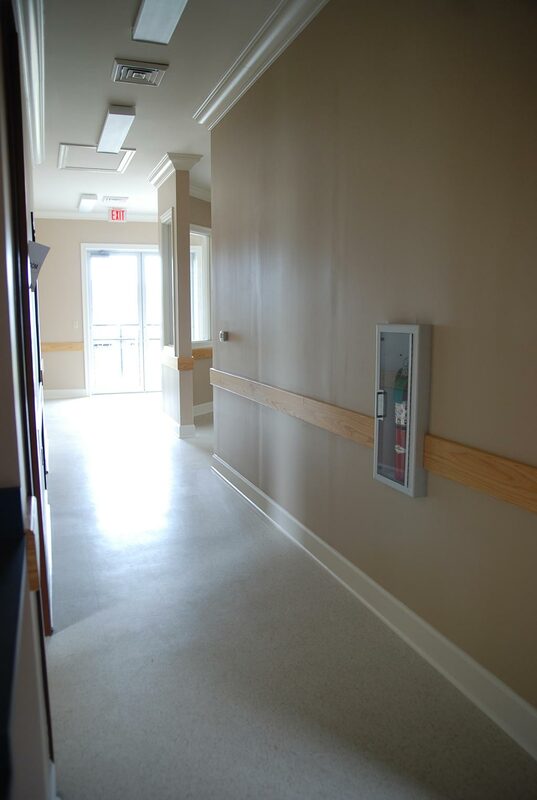 Exterior features included widening the existing concrete drive, installing catch basins and subsurface drainage, building a handicap accessible ramp and a staircase to the aluminum storefront entrance. 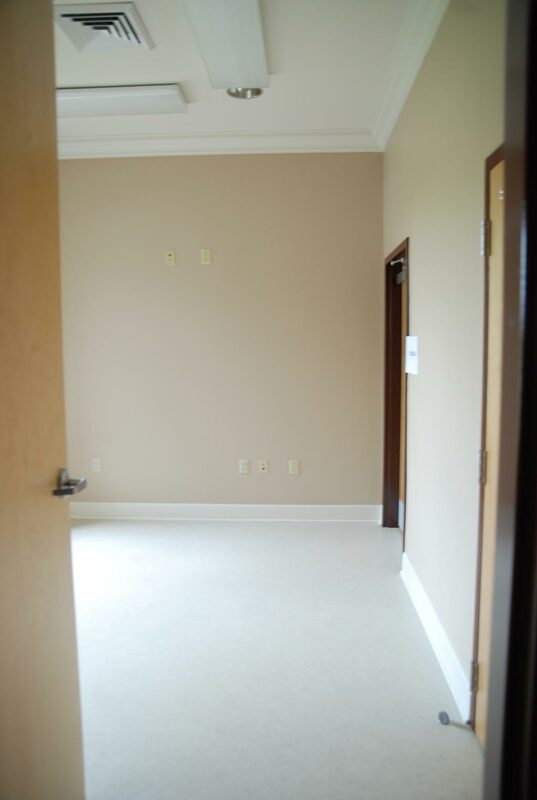 All green areas have sod installed for a total turn key project.